The best place to cycle? We arrived in Hook of Holland at 8am Dutch time (we are now an hour ahead of you in the UK) and even managed to get a passport stamp from the cheery border lady. Sadly the bakery item getting equipment in Lidl was too much for our little brains, so exciting pastries were not available to us. (I later worked out how to get at them whilst cycling, you have a lot of time to think when pedalling. It was a bit like a Crystal Maze task – look it up kids – using a slide-y thing through glass to place the pastries on a chute). 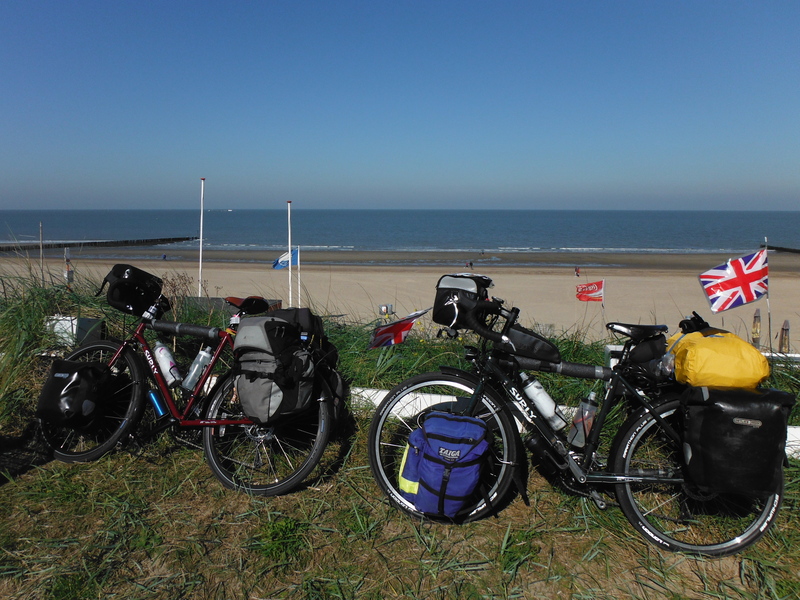 We had been hoping that our UK headwind would not change and it didn’t – on our first day in the Netherlands it became a fabulous tailwind, and pushed us 120km along a scenic coastal route past giant sand dunes, wide beaches and lots of kite surfers. 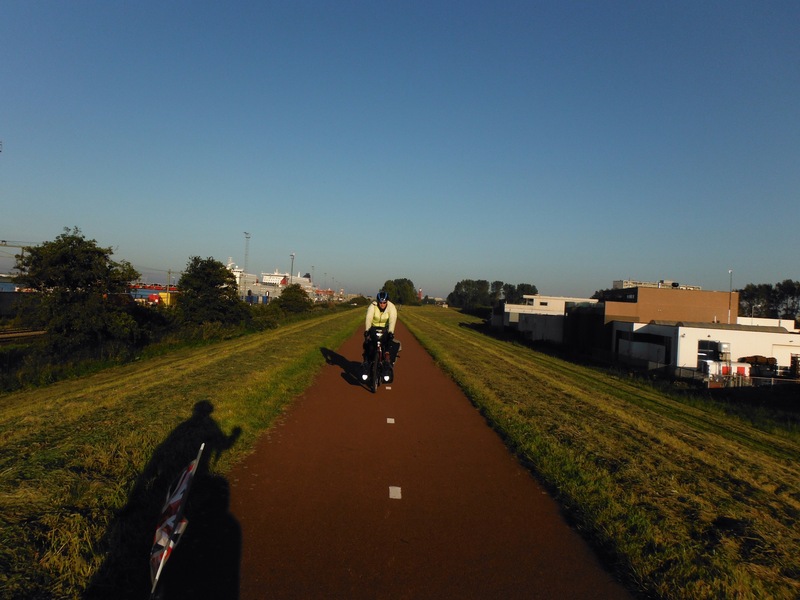 Although the smaller local maps can have harder-to-follow to routes, in general the cycling in the Netherlands is super safe and easy. It is rare to be on a road with cars, though sometimes brommers and mopeds share the bike routes. When on the road, drivers are much more aware of your presence. This is different to home, where there is always the worry that a driver hasn’t seen you/hasn’t looked for you. People of all ages use bicycles as their first choice form of transport, there are bikes of all shapes and sizes, though perhaps not many with bags as big as ours. I assume bike weight was the only reason the local pensioners kept overtaking us?! After a great stay in Vlissingen (and awesome pizzas, thanks Froukje!) we continued south west towards Bruges. There was more stunning coastal scenery (for elevenses stops), lots of pretty towns (for lunch picnics) and Jo was very taken with a dazzling display of bike front baskets in one shop. Next stop Belgium!